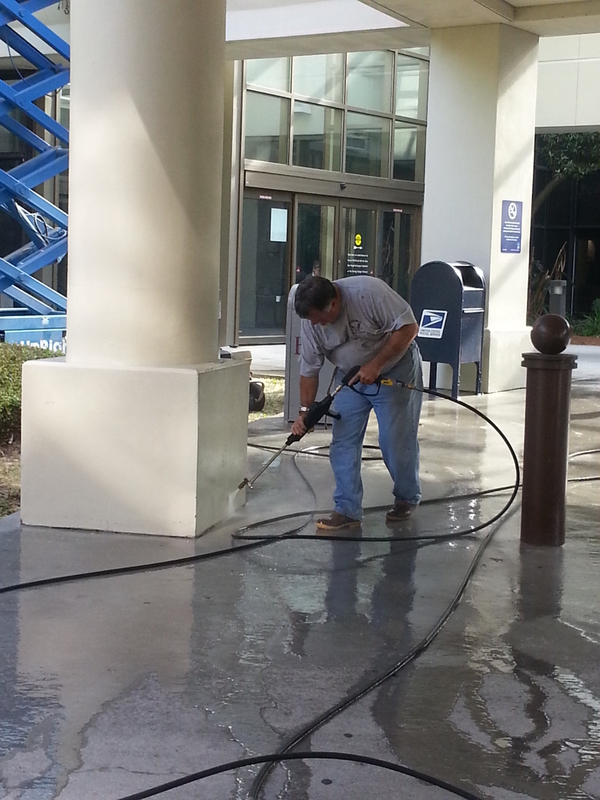 Pressure washing columns at hospitals. 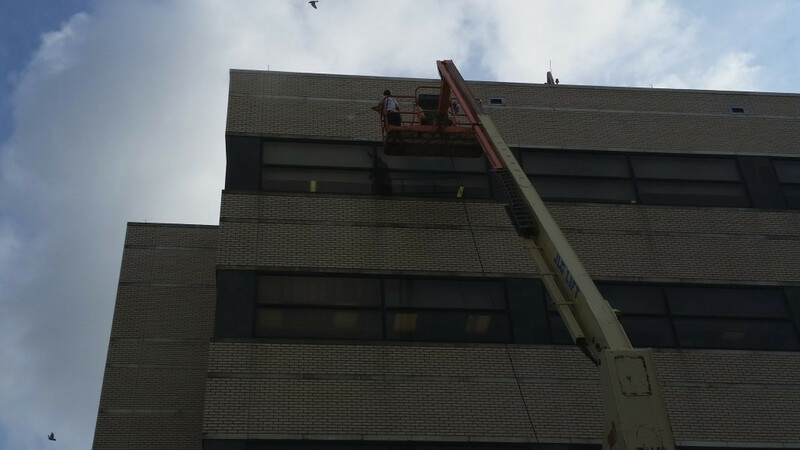 Because NBS owns its own lifts, we can pressure wash the exterior walls of a building. 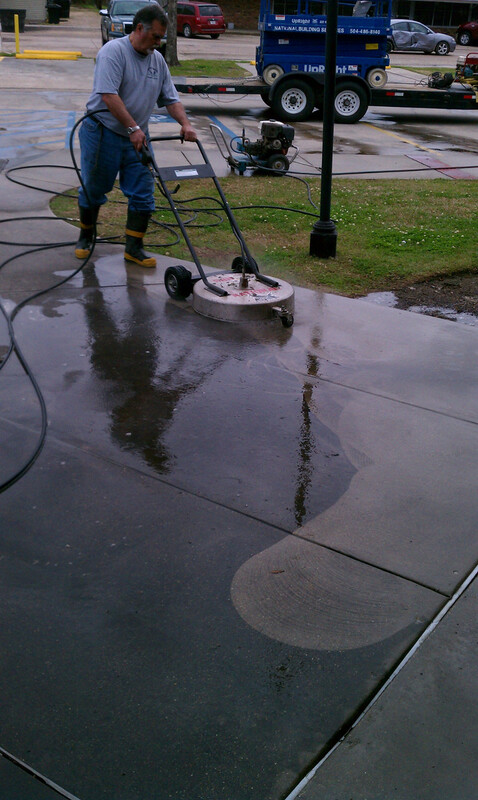 We can also pressure wash under-hangs, sidewalks, drives, loading docks. 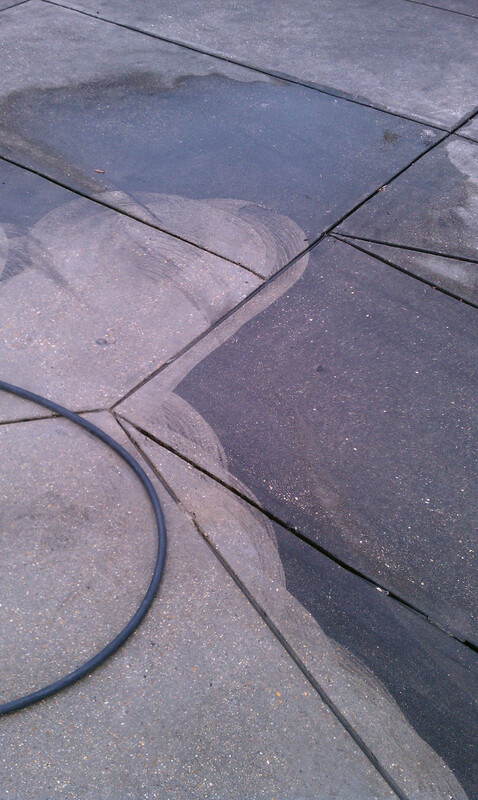 parking lots, and metal roofs.